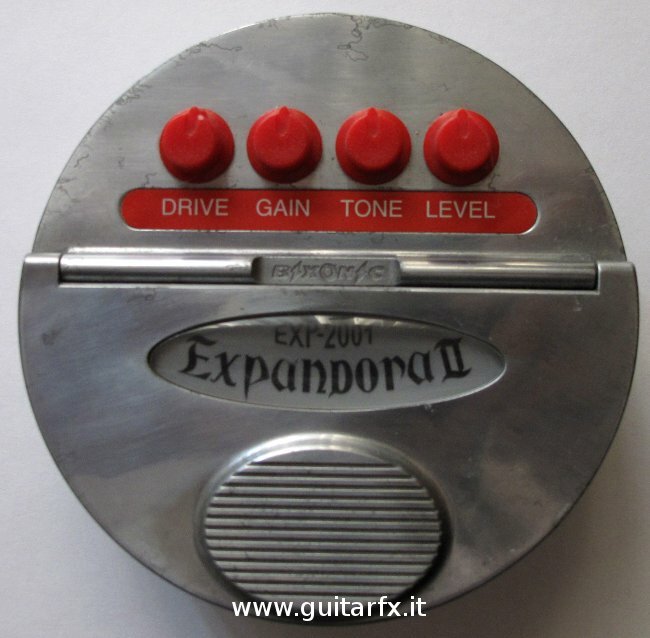 As far as I know, this pedal has gone through 3 main versions: the original (and much sought after) Expandora, the 2001 version in this page, and a “reissue” version, called 2000-R. Moreover, I am reasonably sure that Bixonic is no more in business, so we’ll probably will not see a new version anytime soon. 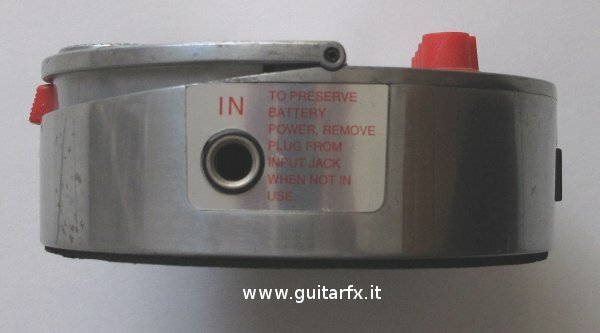 The 1st version had only three knobs on the outside, and some internal dip-switches that required to open the box to change settings: definitely not “user friendly” imho. 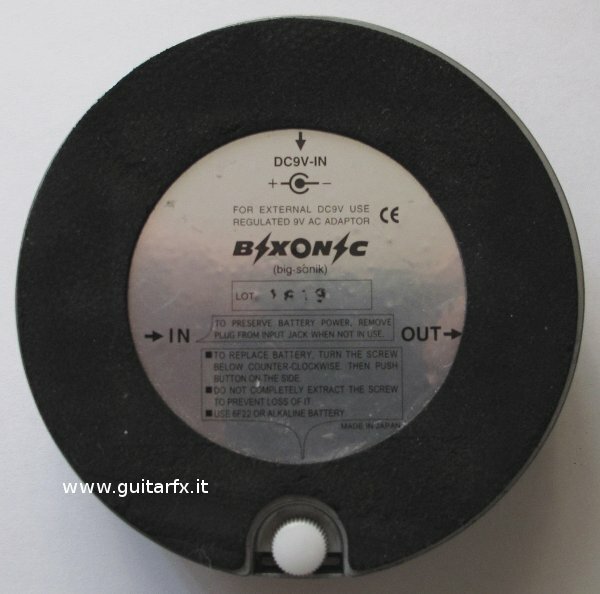 The second version has no dip-switches, but a fourth knob labeled “Drive”, while the third version is similar to the 1st but the dip-switches can be easily accessed on top of the unit. All the knobs on this version are red, (yes, that’s why you can ofter hear about a “red knobs version”) smaller, difficult to spot and not really comfortable to use: however I admit that you can’t really change settings by accident, and that’s a plus. Another difference is this: both the 1st and 2000R have a standard footswitch, while the 2001 has a large pad as you can see in the above image. Under the pad you can find the battery compartment. However, another difference which you can’t miss is the light coming from the LEDs under the “Expandora II” badge on the top while playing with the unit switched on: I am sure its not just related to the input level alone, but I can’t tell . You can easily see this, in the videos at the links below. On a schematic on GeoFex site (see links below) it seems that LEDs are used as part of a compressor circuit, but I hadn’t open my unit to check it out. All the units can be powered by a standard Boss style PSU, using the plug on top, or a 9V battery.